As candle/nerd culture lovers, we think the Frostbeard Studio Nerdy Candles project is top notch! We’ve done a couple shows with these folks and their candles are imaginative and fun. This duo recently launched a kickstarter project to make nerdy candles to add to their line of ceramics and candle. What a great way to combine two of your skills! If you want to support another Minneapolis candle making team please head over to their kickstarter page to fund their project. Good luck, Frostbeard! This weekend I took Jonny to the Lyndale Park Rose Garden here in Minneapolis for the first time. The roses were so beautiful! If you haven’t been there before you still have a month before all the roses are gone for the year. Make sure to check it out if you’re in the Twin Cities. The roses smelled so wonderful we’ve decided to have a giveaway! Purchase any candles from our etsy store and you’ll get an extra box of 8 pink colored rose scented tealight candles with your order. That’s right, you can buy a pack of birthday candles and get these tealight babies for free! We have five boxes to give away and we will be updating our facebook page as they go. Get ’em while they’re here! We hope you’re all enjoying these lovely summer days. We’re not all seriousness and candles over here. Sometimes we are a little kooky and fun and we don’t want you blog readers to forget that. 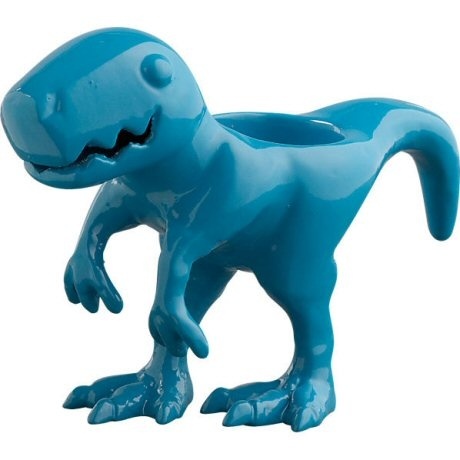 In celebration of being fun and having a good old time, this week for Candleholder Thursday we wanted to throw out this there: Brightly colored dinosaur tealight holder. Why? Because we just watched Jurassic Park with a bunch of Jeff Goldblum loving people in the park and we’re just in the dino mood. Other than candle making I (Audrey, writer of blogs!) also have a full time grind that requires me to travel quite a bit. Since work is the only time I get to really travel, I try to fit in as many candle outings as possible when I’m already on the road. Recently I spent a week on the upper east coast and I found some amazing candles there! 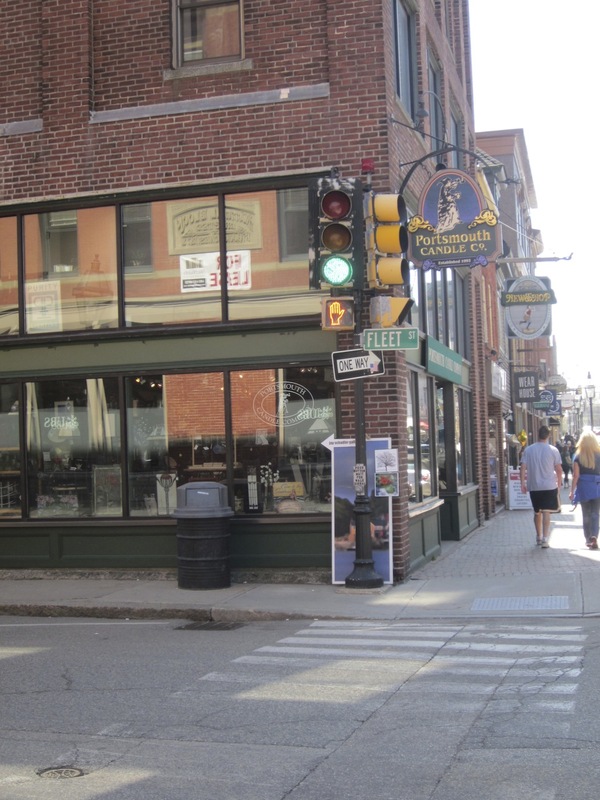 While driving I stopped in Portsmouth, NH to visit the Portsmouth Candle Company. This huge candle emporium is located right on the main street in Porstmouth. 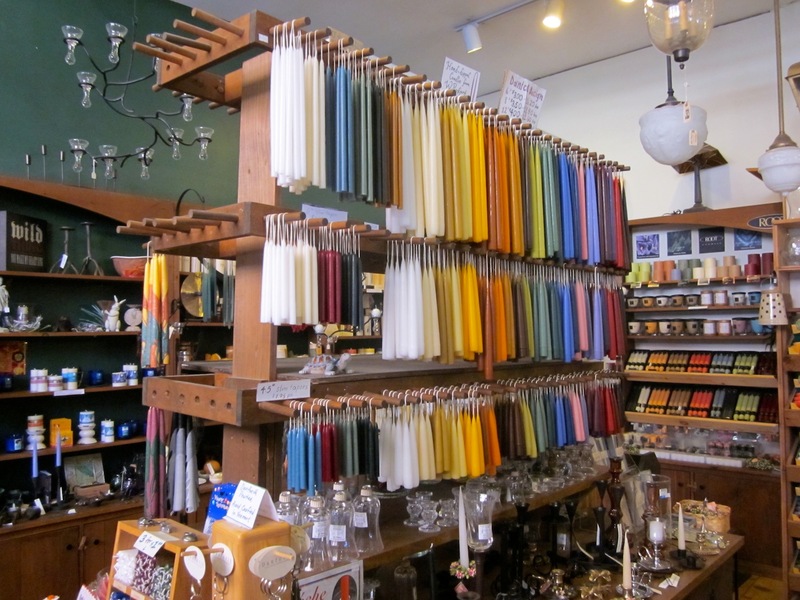 The owner has a passion for candles and it shows in this shop! She has been selling her favorite candles in this small town for over twenty years. The variety is impressive in here. 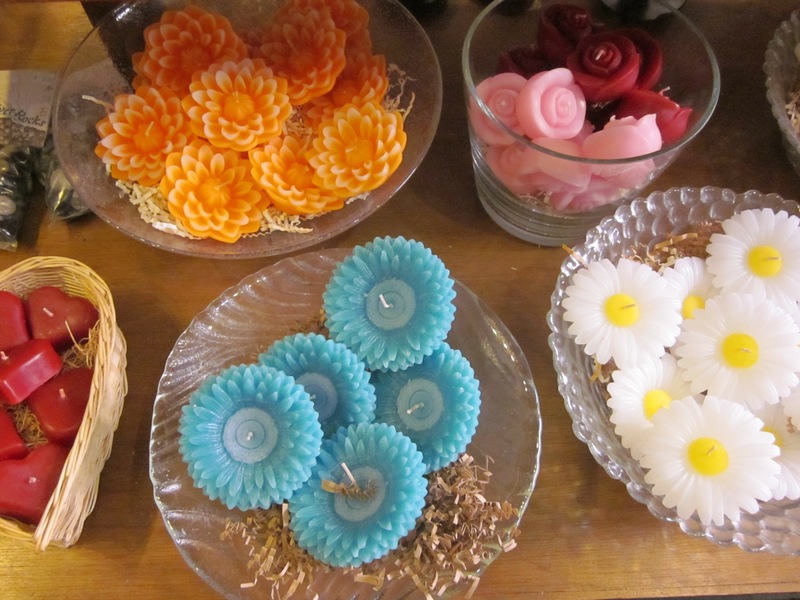 There are your basic nitty gritty candles and much more decorative options as well. In Minneapolis we only have one candle store that sells just candles, and it’s Yankee! That means there is only one company being represented and all of the candles have the same colors and fragrances. 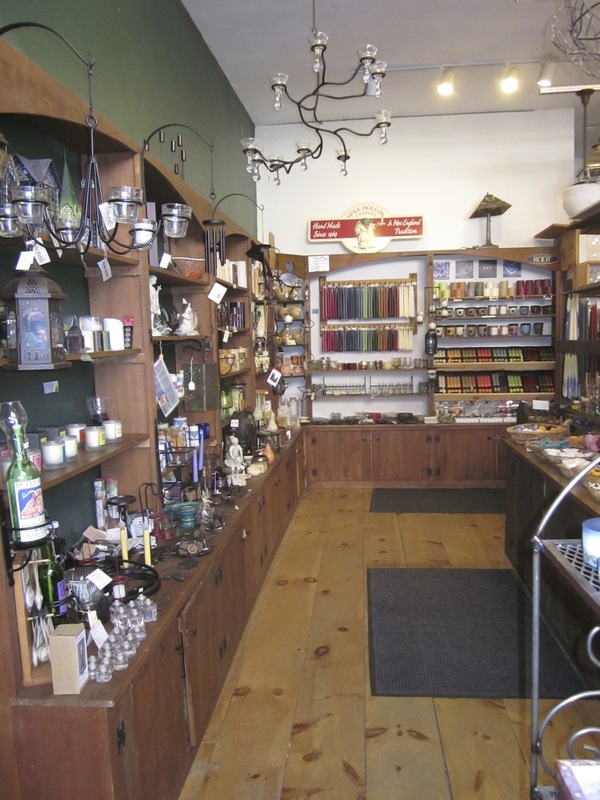 I loved Portsmouth Candle Company because the owner chooses a large variety of candle companies to represent and no matter what kind of candle you are looking for, I bet you can find it here. She also ships orders, so even if you’re not in the NH area you can still get a quality candle package without shopping at several different companies. This taper candle display was clearly designed just for the store. We had something similar to this made at the candle shop we used to work in and I’d love one in our future shop. In the back row you can see tapers splashed with color, which I had never seen before! Sorry for the poor quality on these photos, I couldn’t bring my fancy camera with me on my trip! I just wanted to throw these little cuties in at the end. I don’t know if people even burn floaters, they probably just keep them to look at because they are so pretty!